SPOILER: Do not read as there is a potential of a magic trick being ruin! 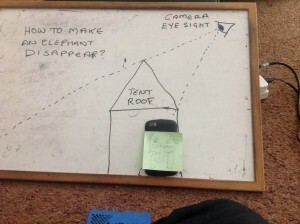 What we have is a tent with a roof. The camera is raised above ground level. The sides of the tent is removed periodically, but the roof remain for most of the performance. 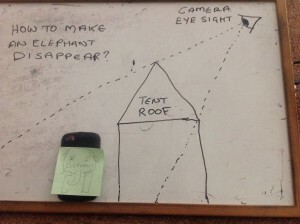 This means there are some area behind the tent the camera eyesight cannot see. 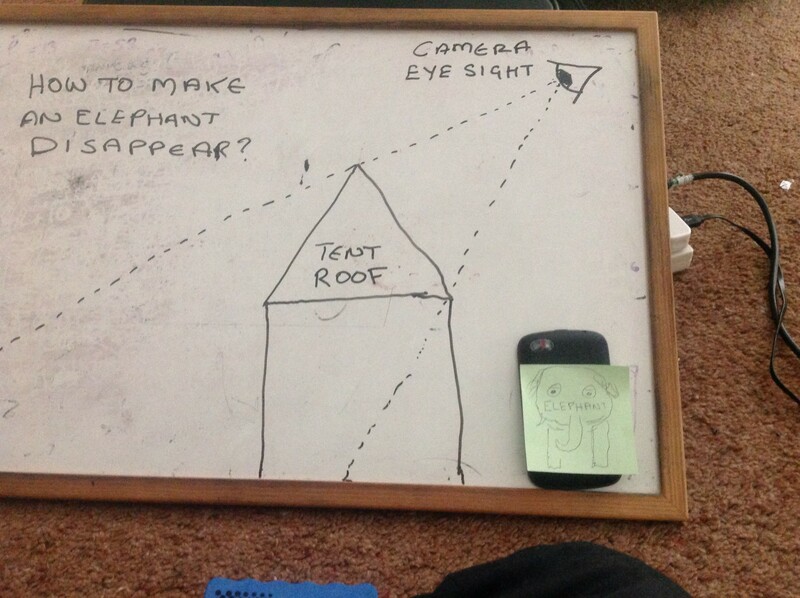 Now add the elephant. 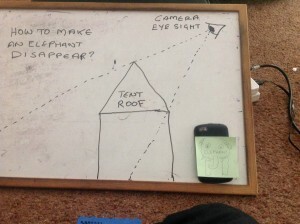 Because, the elephant is positioned outside the triangle with the dash line it is in the camera view, hence the viewers can see the elephant in front of the tent. The elephant enters the tent, it is in the cameras view up until the sides are brought down. I conjecturize that at some time after this the elephant is taken to the back of the tent like this. 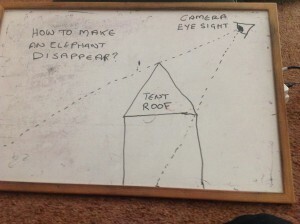 Even when the side of the tent is removed, the elephant is hidden from the cameras view. In effect, to the audience the elephant has disappeared. In the YouTube clip there is some mis direction before the tent is removed but the elephant is no where to be seen. 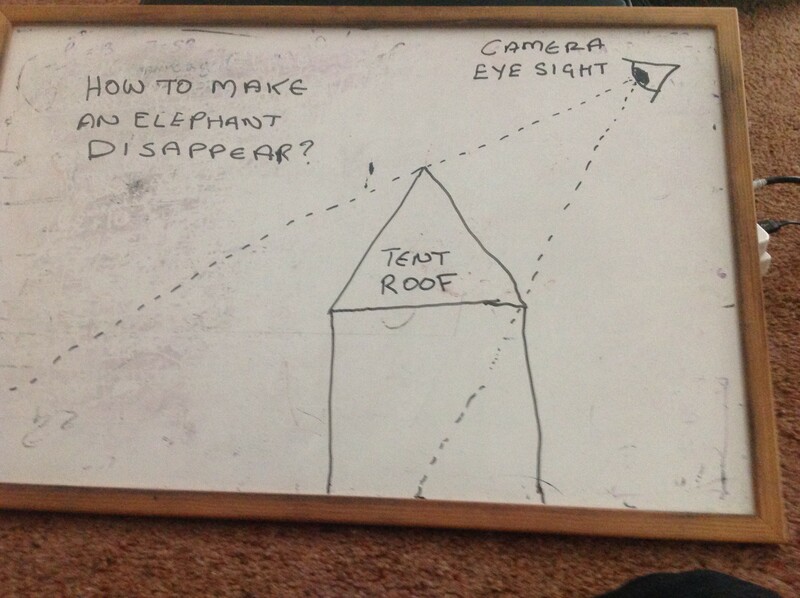 I conjecturize in the misdirection, the elephant has been moved totally out of site, either to the side, behind an artificial natural looking object or even further back. What you don’t see is all angles of the tent at all time. So is this magic or mathematics. If we consider all the angles, this is definitely mathematics.